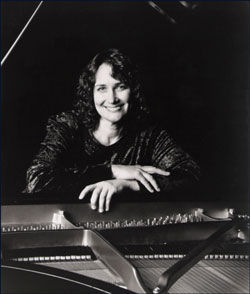 Karen Follingstad has been Professor of Piano at San Diego State University since 1984. She has also taught at Kent State University, the University of Akron, and was artist faculty at the Kent-Blossom Music Festival from 1992-94, where she coached chamber music and performed with principal members of the Cleveland Orchestra. As a solo recitalist, Dr. Follingstad has performed extensively throughout Europe and North America and has recorded for the Hessische Rundfunk and the Norwegian Radio. She has appeared as soloist with the Minnesota Orchestra, the Blossom Festival Orchestra, the San Diego Chamber Orchestra, and the Bear Valley Music Festival Orchestra, among others. 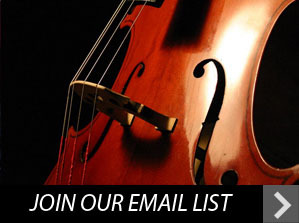 Dr. Follingstad’s major piano teachers include Seymour Lipkin and Richard Goode at Curtis, August Leopolder in Frankfurt, Gyorgy Sebok at Indiana University, Bloomington, and Gregory Allen from the University of Texas, Austin. An experienced collaborative pianist, Dr. Follingstad, in partnership with clarinetist Marian Liebowitz, was 1997 winner of the United States Information Agency/Kennedy Center Artistic Ambassador Competition, which resulted in a month-long tour of Central and South America. The Duo was also chosen to represent the U.S. at El Salvador’s Third Annual Peace Festival in 1998. She has also performed recitals with cellists Yo Yo Ma and Carter Brey, violinists Andres Cardenes, William Preucil, Cho-Laing Lin, Eugene Fodor, and others. Ms. Follingstad is a sought-after chamber musician, appearing with the Thouvenel String Quartet, the Arioso Wind Quintet, the Ensemble of Santa Fe, the Miami String Quartet, and the Pacifica String Quartet. She has also participated in numerous prestigious music festivals including the Berkshire Festival at Tanglewood, the La Jolla Chamber Music Society’s SummerFest, the Mainly Mozart Festival, and summer festivals in Bear Valley and Marin, CA, Sedona, AZ and Steamboat Springs, CO.